Collects Amazing Adventures #11-17, Incredible Hulk #150 and 161, Amazing Spider-Man #92, Marvel Team-Up (1972) #4. 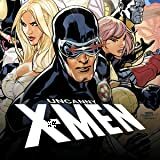 Continuing the story of Marvel's original mutant adventurers, the MARVEL MASTERWORKS brings you the rarest X-Men appearances collected together! When the merry mutants hit the skids, they don't buckle under - they hit the road, and you're riding shotgun. So sit back and get ready for a set of stories that rock the X-Men world to this day! 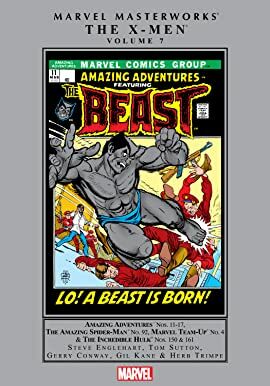 Pushed undercover by mutant paranoia run amok, the Beast sets off on his own, taking a genetic research job with the Brand Corporation. But Hank McCoy's scientific curiosity will come to curse him forever as an experiment gone horribly wrong turns him truly into a beast. Fanged, covered in head-to-toe fur, hunched over and driven to bouts of furious bloodlust, McCoy must struggle to retain his humanity as he struggles against the Brotherhood of Evil Mutants, Quasimodo the Living Computer, Juggernaut, the mutant Mimic and the emerging menace of the Secret Empire that seeks to rend the X-Men asunder. Meanwhile, you'll see Havok and Polaris head to the desert Southwest - but somehow excitement doesn't stray far when the green-haired magnetic mutant encounters the green goliath himself, the Incredible Hulk! Iceman engages in aerial battle with someone who might not call him "friend," the Amazing Spider-Man - but all is forgiven when the combined X-Men team-up to aid the wall-crawler against the living vampire, Morbius!